This invitation suite includes the invitation, RSVP and the matching size white envelopes for both cards. However, there are varies color envelopes and ribbons to choose from as well. 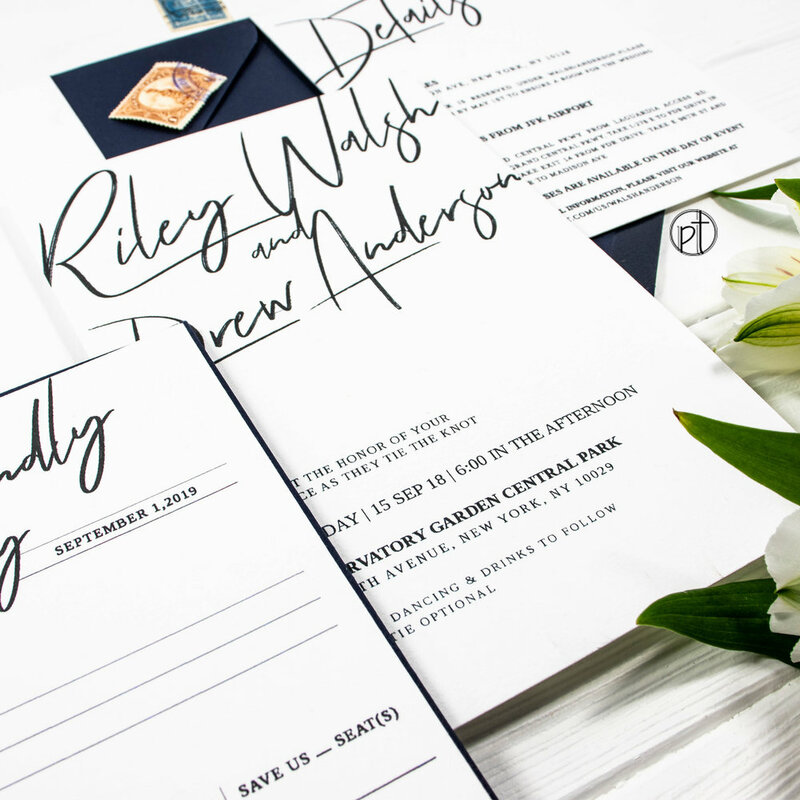 This invitation suite is print on 120lb bright white paper. This invitation available in rose gold, gold and silver foil. Please contact me for more information. 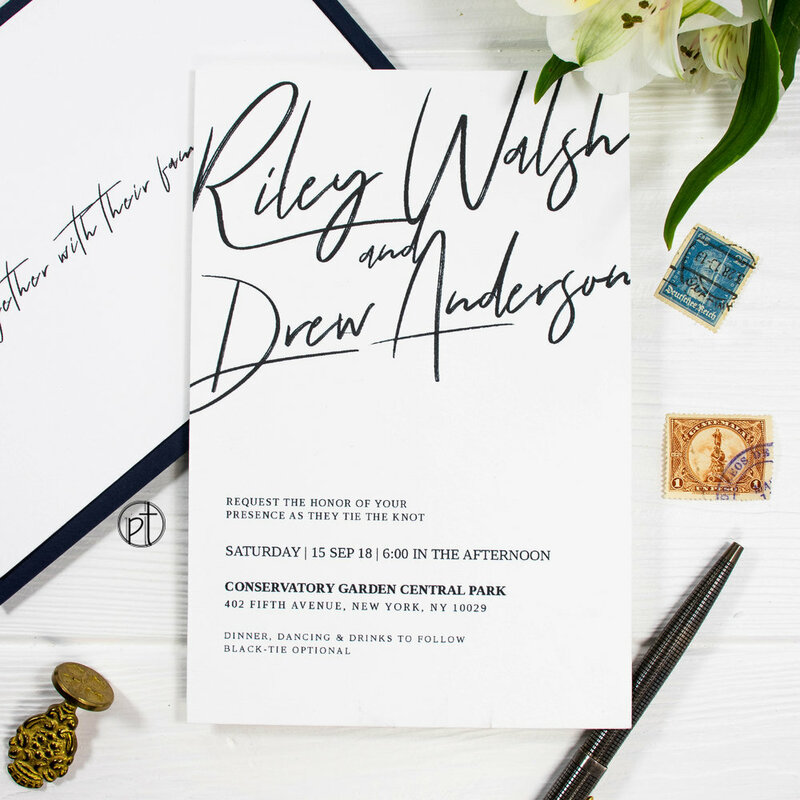 We also offer matching save the date, information cards, favor cards, belly bands, menus, programs, table numbers, place cards, wax seals, custom wedding signage, t-shirts, etc. We also offer custom printed return address on the envelopes.